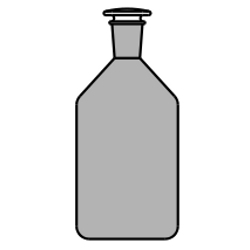 We have established ourselves as a reputed firm engaged in offering a gamut of Reagent Bottles. 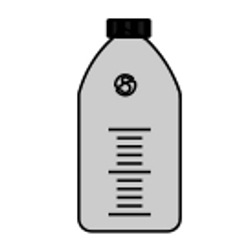 In adherence with the international quality standard, these bottles are developed from finest quality material and latest tools and technologies. Our range is highly appreciated for their remarkable attributes like longer service life, reliable performance and scratch resistant. Furthermore, our clients can avail this range in both customized and standard forms as per their requirement. 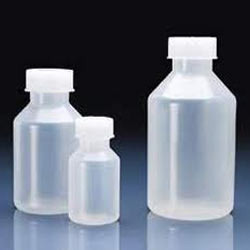 Leveraging on our years of experience, we are able to design and develop a wide range of Narrow Mouth Reagent Bottles. Our team only source superior glass to fabricate this range of products. Our valued customers can avail these products in varied specifications as required. 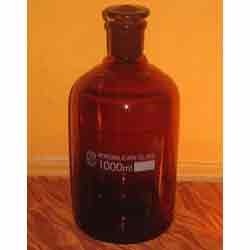 Patrons can avail quality-approved Glass Reagent Bottle from us. With the help of our adroit workforce, we manufacture these products in compliance with the international quality standards. In order to store both toxic and non toxic chemicals, these products are extensively used in different chemical industries. To meet the expectations of the patrons, this range is also available as per the clients requirements.